ASHEVILLE, NC – The Western North Carolina Daylily Club will host its annual Daylily Show and Sale at The North Carolina Arboretum on Saturday, June 27, from 11 a.m. to 5 p.m. Held in the Education Center, the show will display some of the best varieties of more than 46,000 registered daylilies. The event will feature many outstanding daylily hybrids and cultivars of Western North Carolina. This is a must-see for daylily enthusiasts. Club members will also provide information on care and cultivation of daylilies, and plants will be available for purchase. A bird nest collection, containing nests and egg replicas of local songbirds. An interactive bird song display. A habitat match-up interactive mural designed to teach concepts of animal needs and the distinct habitats of local birds in habitats that occur in WNC. An illustration table with sketch paper, pencils, erasers and colored pencils. Forest Trails Walk at 1 p.m. ~ Guided tour of Arboretum trails and natural environment. All activities, including the Daylily Show and Sale, are free for Arboretum Society members or with the standard parking fee of $6 per personal motor vehicle. Visitors are encouraged to explore the Arboretum’s kaleidoscope of summer blooms, 65 acres of cultivated gardens, 10 miles of hiking and biking trails, engaging exhibits, and bountiful opportunities to connect with nature. For information, call 828.665.2492 or visit www.ncarboretum.org. ASHEVILLE, NC – Charlotte, NC’s best-loved restaurant will soon open in Asheville. To be opened in June at Biltmore Park, 131 Main will share its passion for fresh, regionally grown foods and its dedication to extraordinary service with Western North Carolina patrons. 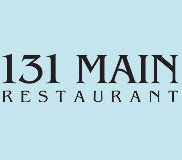 This month Charlotte magazine’s readers voted 131 Main as the best overall restaurant for food and drink in Charlotte. Joe Douglas, a partner in Captiva Restaurant Group that owns and operates the restaurant says, "We believe that consumers in the Asheville area will embrace our passion for great food and exceptional service." "I’m proud of our team members and thankful for our loyal patrons," explained Chris Carlsen, CEO of Captiva Group, says, "Our passion for delivering incredibly fresh, great tasting food with legendary service in a warm, clean environment is important to those wanting the best dining experience for their investment." The Charlotte-area locations of 131 Main include those in the Blakeney and Dilworth communities of Charlotte and at Lake Norman in Cornelius. The Biltmore Park location is Captiva’s first 131 Main venture outside the Charlotte market. "We love Asheville and believe that our core values in operating a restaurant matches perfectly with the culture of Western North Carolina," said Douglas. "The secret to our success is that we’ve created an environment that simply makes people happy." 131 Main at Biltmore Park will be located adjacent to the Regal Biltmore Grande Stadium 15 cinema and will offer convenient parking for its patrons. ASHEVILLE, NC – The City of Asheville will hold the second of two public meetings to provide information on the stimulus funding. City officials will be at the meeting to discuss how recovery funds will be used for municipal projects and community grants, including information about the Homeless Prevention Fund, Community Development Block Grant and Energy Efficiency and Conservation Block Grants. The public will be allowed time for Q & A following the presentation. Additionally, an opportunity will be provided for vendors to register on the city’s online vendor registration as well. Tonight’s meeting is scheduled for 6-7:30 p.m. at the Haynes Building (second floor) – A-B Tech Enka Campus. Attendees can park outside the building locations unless otherwise directed. If there are questions concerning these upcoming meetings or other matters related to the stimulus funding, contact Brenda Mills, ARRA Project Manager, at (828) 259-8050 or [email protected]. ASHEVILLE, NC – The Asheville Downtown Association (ADA) will present several drums and musical accessories to members of the Asheville Drum Circle on Friday, May 22 at 7pm. "We are so fortunate have this group of people who create this music in Pritchard Park. The circle encourages participation and we are donating instruments to support their activities," says Byron Greiner, president of the ADA Board of Directors. The drums donated by the ADA will be available to attendees and passersby to get in on the fun. The largest gift, a 55-gallon dun dun, provides a rhythmic foundation for the group. The association also donated two djembes, an ashiko, a cowbell, three sets of claves and three shakers. "We’re really grateful for the support of the Asheville Downtown Association and downtown businesses. This donation gives people who come without an instrument a way to connect to the group," says Larry McDowell, one of the event’s organizers involved with the drum circle since its beginning in 2001. The Asheville Drum Circle cranks up Friday nights beginning about 7pm in Pritchard Park in downtown Asheville. With dozens of drummers and hundreds of spectators, the circle has become one of Asheville’s most popular events. "The Asheville Downtown Association supports the cultural diversity of our downtown. We encourage all Ashevillians to come and listen or even better join in the fun at the park," adds Greiner. The Asheville Downtown Association is a membership organization committed to being the voice of downtown. For more information, call 828-251-9973. WOODFIN, NC – The Town of Woodfin has received national recognition for their renovation of the Roy Pope Memorial Park. In the summer of 2007 the Town of Woodfin in partnership with the King family began the renovation of the playground area of the park and launched Avery’s Little Corner on September 1, 2007. This month the Town and the King family were recognized for their work in an article in Parks and Recreation Magazine the official magazine of the National Recreation and Parks. In an article titled Playgrounds Revived, the association recognized the revival of the Woodfin park along with similar revitalization efforts in Atlanta, GA and Richmond, VA. "Obviously we’re pleased to see that the restoration of this park has been acknowledged nationally, but the real testament to its success is the sight of so many children and families coming together here on a daily basis. That is the real success," commented Woodfin Mayor Jerry VeHaun. The park was renovated through a combination of donations to the Avery King Foundation, direct private contributions, and Woodfin tax dollars. "We see this as a perfect example of public private partnership. The Kings have erected a lasting memorial to Avery and people from all over have a perfect environment to come together and appreciate the gift of family and fun," said Woodfin Town Administrator Jason Young. Avery’s Little Corner is located in the Roy Pope Memorial Park and is located at 90 Elk Mountain Road in Woodfin, directly behind Town Hall. It is open 7 days a week from 5 AM to 10 PM. It has bathrooms, a picnic shelter, a walking trail and a wide variety of play equipment. Dogs are not permitted at the Roy Pope Memorial Park but are accommodated at Woodfin Riverside Park. The picnic shelter is available for reservation on a first come first served basis. ASHEVILLE, NC – Asheville Parks, Recreation and Cultural Arts, in conjunction with Push Skate Shop, will offer Skateboard Camps this summer at the Food Lion SkatePark, for skaters of all skill levels, ages 6-15. Week-long camp sessions are an opportunity for beginners to learn basic skills and for more advance skaters to sharpen their skills. Camp sessions meet daily at the park from 9am-12pm. Cost is $75 for each session. Register early – camps are limited to 15 boarders. visit the Push Skate Shop at 25 Patton Ave.,or call 828-225-5509. The Food Lion SkatePark offers a safe, challenging, and attractive skate park facility for skateboarders of all ages. ASHEVILLE. NC – The City of Asheville Mayor’s Committee on Veterans Affairs, in conjunction with Buncombe County, will host the annual Memorial Day Ceremony at Memorial Stadium on Monday, May 25 at 1 p.m. This event is open to the public. Event highlights will include the unveiling of the Veteran’s Memorial at Memorial Stadium, Presentation of Colors by a local high school ROTC, Recognitions of Service by Buncombe County Chairman David Gantt and Asheville Mayor Terry Bellamy and performances by Rockell Whiteside and the Reuter Center Singers. For more information on the event, please contact Jessica Dunlap in the Mayor’s office at (828) 259-5600 or [email protected]. ASHEVILLE, NC – Tickets will soon be available for the upcoming Asheville Civitan Pancake Breakfast to be held June 13 in the cafeteria at the Irene Wortham Center. Tickets will be $5 in advance and $6 at the door. Children 12 and under are $3. Proceeds from the event will go to the Asheville Civitan Foundation and the Irene Wortham Center. The mission of the Asheville Civitan Foundation is to award scholarships to Buncombe County and Asheville City graduating seniors. The Irene Wortham Center delivers comprehensive, quality residential and day services in a caring atmosphere for individuals with developmental challenges. Call John Reed at (828) 348-4222 to purchase tickets in advance. ASHEVILLE, NC – An 11-mile section of the Blue Ridge Parkway in North Carolina that has been closed for nearly nine months has partially reopened. The Craggy Gardens Area now has alternating one-lane traffic, which means the end of a 72-kilometer detour. But construction on the retaining wall will continue until mid-June, when parkway officials hope to reopen the area to two-lane traffic. Officials closed the stretch of the parkway in August 2008 because of a failed retaining wall. During daylight hours, a flagman or traffic light will control the one-lane traffic. At night, a traffic light will be used. ASHEVILLE, NC – Asheville based Festiva Resorts is proud to announce the opening of our newest Festiva Adventure Club sales center in New Orleans, LA. The sales center occupies 8,400 square feet of space on the 15th floor of One Canal Place in the heart of the Central Business and Maritime Districts of New Orleans. One Canal Place is located at the foot of Canal Street just steps away from the Aquarium of the Americas and the French Quarter. The first three levels of the high rise are a shopper’s paradise with upscale boutiques, a cinema and theater, and a food court. A short elevator ride from there will bring visitors to the Festiva Resorts New Orleans experience. Guests who visit Festiva’s preview center will be welcomed by a panoramic view of the Mississippi River and New Orleans’ historic French Quarter. As riverboats lazily glide downstream and jazz music floats up from the street, visitors will learn about the exciting benefits of becoming a member of the Festiva Adventure Club. Once they are acquainted with Festiva Resorts and New Orleans, we then welcome guests to visit the Frenchmen Orleans, a boutique resort property on vibrant Frenchmen Street. With abundant options for dining, shopping and nightlife just steps from the Frenchmen, including some of the city’s best local music venues, those who stay once are certain to return time and time again. Festiva Resorts is eager to work with local businesses to promote travel and tourism in the Crescent City. Our goals of promoting not only the Festiva Adventure Club but also local businesses and attractions have helped us with moving toward opening a welcome center on Canal Street, just steps from famous Bourbon and Royal Streets. We are also thrilled to have entered into an alliance with Carnival cruise lines through Vacation Tour & Travel to offer a combination package that includes a stay with Festiva Resorts for cruise passengers departing from New Orleans. Based in Asheville, North Carolina, Festiva manages and operates a dynamic collection of hotels and resorts throughout the Midwest, Southeast, Northeast and Caribbean. Festiva Resorts currently has nearly 60,000 members and 27 timeshare and vacation ownership resorts. You are currently browsing the Asheville NC News blog archives for May, 2009.